I am planning my sister's 20th birthday party in September. It's her 'champagne birthday' [when you are turning the age matching the day of your birthday, ie she is turning 20 on the 20th] so she really wants to do it up. 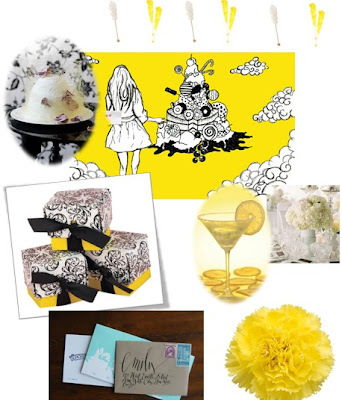 I put together a preliminary inspiration board from her vision of white and yellow. Images contained within this blog are the property of their respective companies. Please see each post for details and links. If you represent one of these companies and prefer your images not be used, please contact me immediately at jessica@jessicalaine.com .